We are happy to announce the publication of Why don’t we do it on the road a guide book about street theatre, written by Vida Cerkvenik Bren, also as one of our main project results. In the frame of Erasmus + (Strategic Partnership, Lifelong Learning Program) the RIOTE 2 street theatre educational project on the 24th April in the University of Theatre and Film Arts (Vas utca 2/C, room 220) will present its recently published intellectual outputs, the results of the two year-long European collabo-ration for the first time. The program will present three informative documents at the same time: Why don’t we do it on the road, a book about street theatre; Rural touring handbook for European cultural entrepreneurs about the theatre education in small villages; and a film documentary about street theatre. The presentations will be given by Géza Pintér from Control Studio Association and by Krisztián Simó from SpecStreet Theatre Association. 9:30-10:40 Presentation of the books and film projection. 10:50-12:00 Report about the workshop experience of SpecStreet in Dartington and in Zsámbék, and a presentation about the drama pedagogy and community theatre activity of SpecStreet in the villages of the county of Borsod. We are happy to receive feedbacks and opinions, so we look forward to meeting anyone interested in the field. 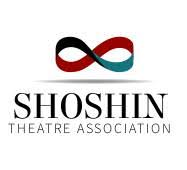 Shoshin Theatre Association is organising an international theatre forum and conference in Cluj-Napoca, Romania, between the 10-12th of May 2019. Co-organizer of the conference section is the Committee on Theatrical Sciences of the Regional Committee in Cluj of the MTA. Street – or open space – theatre, and alternative, non-classical ways of doing performances count as rather widespread genres in the West, sometimes with rich roots dating back centuries. Furthermore, several companies exist whose primary purpose is not equivalent with the artistic purposes of the state theatres, rather they lay emphasis on the role of theatre in society, while not neglecting artistic aspects either. However, in our region these endeavours are only starting to come into public awareness. Among the many reasons of this time delay we can mention not to a small extent the absence of reliable funding as well as the rigidity which can be experienced in the system of subsidized state theatres. These currents usually function in the case of theatre companies who do not exist in a strictly hierarchical system or as a state-supported institution. What is the relationship between artistic intent and functioning? Is it possible for independent, ‘other’ types of companies to be able to grow in an environment where state theatres prevail? Is it possible (for example following the examples of the Ghent Manifesto or the National Theatres of Wales and Scotland) for subsidized, state theatres to reinterpret themselves and to transform radically? In what does a street performance differ from a performance held in a closed space? What kind of other opportunities do public/alternative spaces offer us? What kind of affair can a performance establish with public space, what kind of doer-viewer relation does it presume, and how can a performance influence our relationship with the public space? Furthermore, what kind of examples do we know of theatre(s) turning towards the periphery? For example, is the tradition of “landscaping” (taking performances to villages) an out-dated custom, or indeed an existent and urgent need that we need to adapt to the 21st century? And how can we help the mostly abandoned communities living in rural areas (villages and small towns) in a systemic way, through theatre (among others)? The above questions offer orientation, but they are not exclusive. We await applications from university teachers, researchers, artists, university students, cultural managers, leaders of theatres as well as professionals from other areas. We are curious to see how these themes can be approached beside the angle of theatre – in policy making, cultural entrepreneurship, anthropology, sociology etc. Please send your abstract of up to 400 words accompanied by a short CV until the 25th of March 2019 to the following address: shoshin.mail@gmail.com. The abstracts will be peer reviewed by the scientific committee asked for by the Association, followed by the final confirmation until the 1st of April. The lecturers of the chosen papers will be provided with meals, accommodation (1 night) and their travel expenses will be reimbursed up to the sum of 50 euro/person (in case of lecturers arriving from outside Romania or Hungary). The language of the conference is English. The conference will be held on the 11th of May from morning to early afternoon and it is an organic part of the weekend-long event called Out of the frame organized by Shoshin Theatre Association. The theme of the event is: the research of less institutionalized, alternative theatrical genres, with particular regard to open space genres (street theatre, interactive performances, community genres), furthermore, the analysis of what kind of role performing arts have in the periphery and on the lives of communities living in rural environments, and in a broader sense on the whole of society. Other events in the programme consist of workshops, book launches and roundtable discussions with acknowledged international guests and professionals from Romania. A keynote address will be held by Paul Allain, professor of Theatre and Performance, researcher, author, and Dean of the Graduate School of the University of Kent. More information soon on https://www.shoshintheatre.com/ and https://www.facebook.com/shoshin.theatre/. 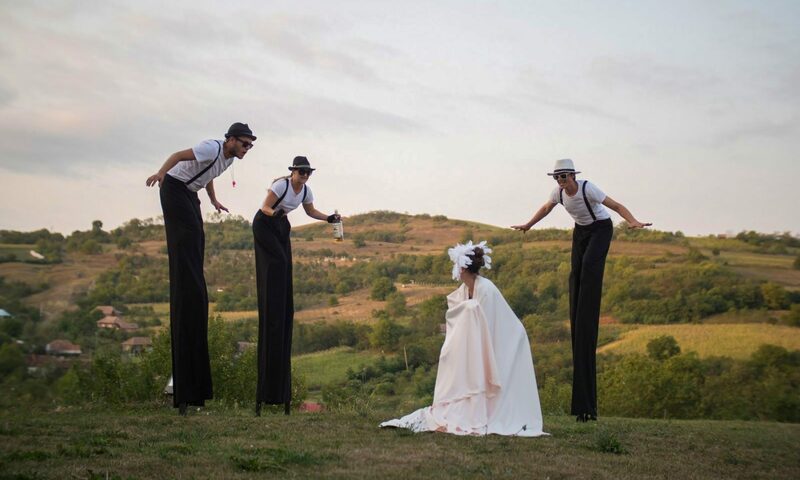 The stilting community will be gathering at the world renowned ARCOSANTI, ARIZONA for two weeks of learning, sharing, evolving and performing, May 19 – June 2.